The 7th Temporada Alta Latin America begins on 1 February with a packed schedule including 23 shows from 12 European and Latin American countries and more than 75 performances in the capital cities of Argentina, Uruguay and Peru. Until 20 February the Festival will put on shows involving drama, contemporary and experimental dance, contemporary creation, circus and new dramaturgies, chiefly from Catalonia, Spain, France, Italy, Germany, Switzerland, Finland, Israel, Mexico and Colombia, as well as the host nations. The Catalan shows travelling to the other side of the Atlantic include six performances of Tierra Baja in its Spanish version, directed by Pau Miró. This is the classic by Angel Guimerà and the Temporada Alta production for which Lluís Homar received the Max Award for Best Actor in 2015. In fact, this is the first time that a Temporada Alta production has made the journey to Latin America. Another highlight will be Calma! by Guillem Albà, a production set to be premièred in Buenos Aires and also on show in Lima and Montevideo, with a total of six performances. 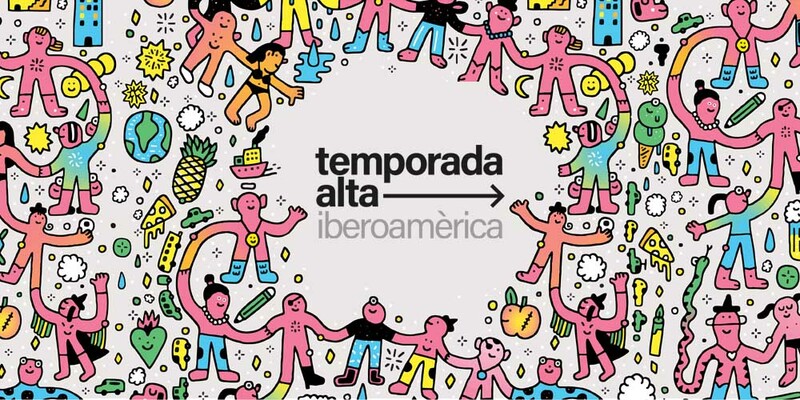 Apart from the schedule itself, the Transatlantic Dramaturgy Tournament, will once again be held at the Timbre4 venue in Buenos Aires, where two Catalan playwrights, Cristina Clemente and Marta Aran, will face up to their two Argentinian counterparts. The former will present the texts which competed in the Catalan Dramaturgy Tournament at this year’s Temporada Alta. Four Catalans have won the transatlantic tournament so far: Roger Peña (El recambio), Pere Riera (Red Pontiac), Jordi Galceran (El Crédito) and, in 2017, Tocar mare by Marta Barceló from Majorca. The Transatlantic Dramaturgy Tournament is partnered by the SGAE Foundation. Other Catalans set to feature at Temporada Alta Latin America include: Xesca Salvà, with his show titled Cases, puppeteer Javier Aranda, who will take his award-winning production called Vida, and Rodrigo Cuevas, who will perform El mundo por montera in Lima. The Temporada Alta Latin America schedule is made possible by the partnership with the Ramon Llull Institute, an organization which promotes the internationalization of Catalan companies. The schedule in Buenos Aires will also involve Iberescena, a central government programme that promotes cooperation in the field of performing arts, and the PICE programme conducted by ACE (Acción Cultural Española).